The PS-HX500 hits stores in the spring. Vinyl is back. 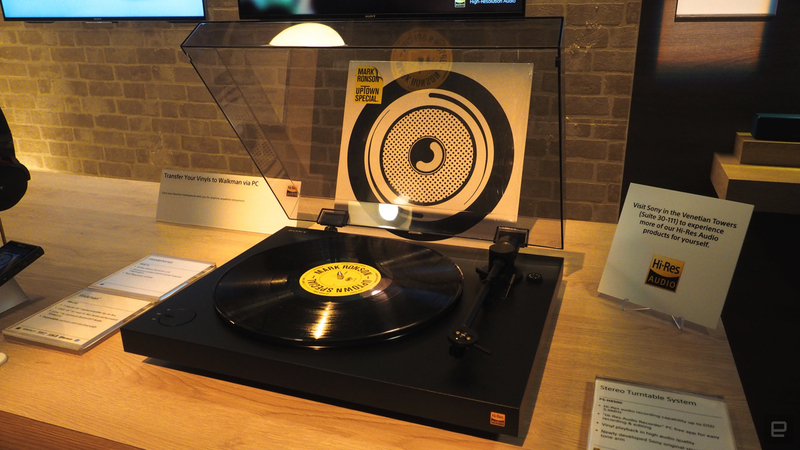 Even Sony is getting in on the game with the PS-HX500, a hi-res turntable that allows music lovers to digitize their record collections. The PS-HX500 stores the sounds stemming from your vinyl via USB, up to DSD quality. It features an anti-vibration and anti-skipping design, and it's due to launch in the spring for an undetermined price. (Cue Pink Floyd's "Money.") Check out the PS-HX500 in the video below. Edgar Alvarez and Mat Smith contributed to this report.